You will find Beverley Pubs as one of the choices in the Pubs & Breweries tab in the drop-down menu at the top of this page. The text and images come from one of my older books – A Toast to the Town; A History of Beverley’s Public Houses, published in 2001. 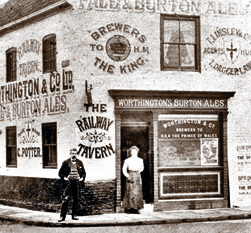 Also in the pubs & breweries tab are pages dealing with some Hull Brewery memorabilia, Moors’ & Robson’s memorabilia, a history of the off-licence in Hull, pages dedicated to some of East Yorkshire’s older village pubs, and some of Hull’s lost pubs (see opposite). Most of the pictures on this site are available as prints via the online shop (see button at top of this page) including the pubs and breweries pages. 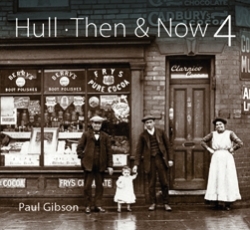 One of the first books I compiled dealt with a subject close to the hearts of many local historians (and drinkers) – The Lost Pubs of Hull. It was a joint work with my dear departed mate Graham Wilkinson. Published in the last century (1999!) 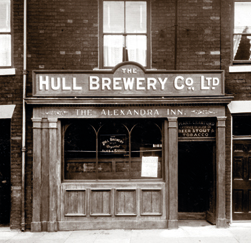 it contained short histories of some (not all) of Hull’s beloved lost pubs. The web pages here include most of the book content plus many other pubs that never made it into the book. Once again – prints of the photos included here are available through my shop via the button at the top of the page. I have many more too – so if you have a favourite old pub – drop me a line and I’ll see what I can do. On occasion I have supplied copies of images from my books to those who have had a special reason for wanting one; the online shop now gives the opportunity for anyone to buy prints directly. If you have always wanted a picture of a particular village, pub, street or building, but have never found one, I can search my collections if you drop me an email with your wants list. The pictures that feature in my books and website are only a part of my collection. I can only supply those that have been part of my collections however, and not copies of any council images etc. I will also be selling any spare copies of local books and bits and bobs that I have duplicates of – so keep an eye on the online shop for new additions. 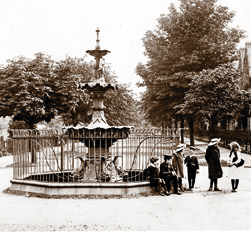 Public drinking fountains and large and small, and often very elaborate, ornamental street fountains first appeared in Hull from the 1850s; a development spurred on by the sight of examples in the Great Exhibition held in London in 1851, a fashion that reached Hull a little later. Hull had many fountains, spread across the city but most are now sadly lost, except for a few examples in the Avenues area of West Hull and rare survivors in some parks and gardens, plus a few more recent additions. The fountains page – inspired by a joint interest in street furniture, with my late friend Chris Ketchell – gives details of all of the known Hull fountains, where they were and where they went, with images where available.